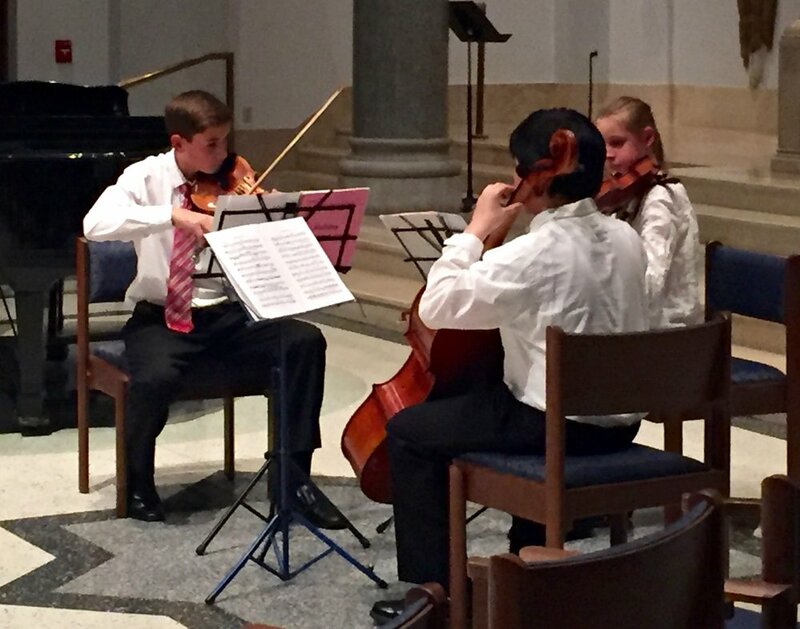 All YC2 chamber groups performed in two recitals (December and May); plus, depending on the musicianship level and motivation of the students, each chamber group also performed once, twice, or up to a dozen times out in the community. 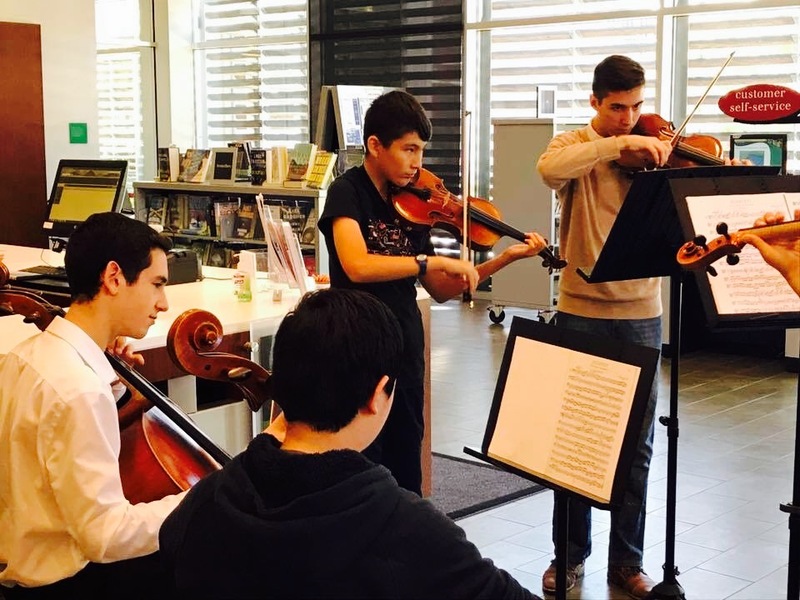 Our Community Connection opportunities allow our students to play for audiences who don't often hear live music, such as in neighborhood libraries, health-care settings, child-care facilities, and more. 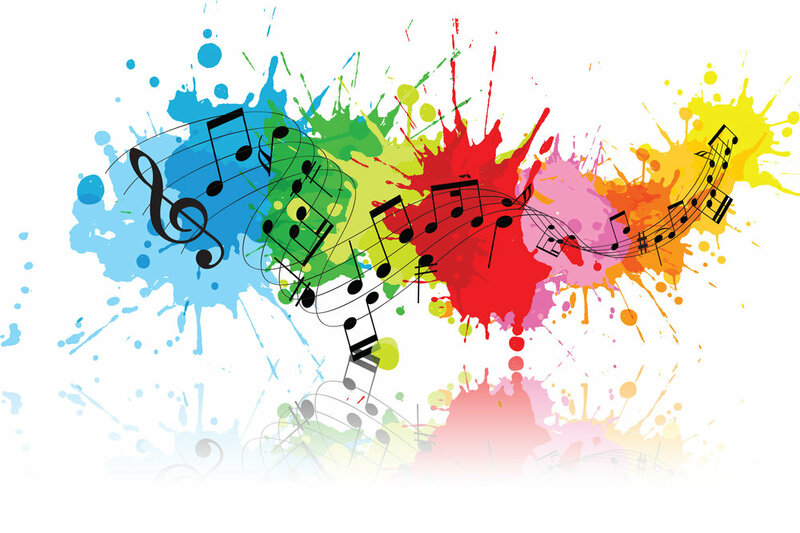 Scheduling an Event: If you have an opportunity for student musicians to perform, contact Laurie Cunningham, YC2 Manager: staff@youthchamberconnection.org, 412-391-0185. CLICK on each photo below to hear the student chamber groups' performance. YC² groups performed in the Heinz Hall lobby before this sold-out speaker series. YC² groups Barefoot Quartet, Dominica Quartet, Silver Bridges Quartet, and MetroGnomes performed in the lobby, followed by a free concert at 7:30pm by the Pittsburgh Youth Symphony Orchestra. YC² groups performed live on the radio plus were interviewed by host Larry Berger on this LIVE radio show at the Children's Museum of Pittsburgh. A quartet of YC² members - Anna, Zach, Yosen, and Chris - performed snippets to introduce young visitors to some of the creatures in Saint Saens' "Carnival of the Animals," in Heinz Hall's Overlook Lounge. 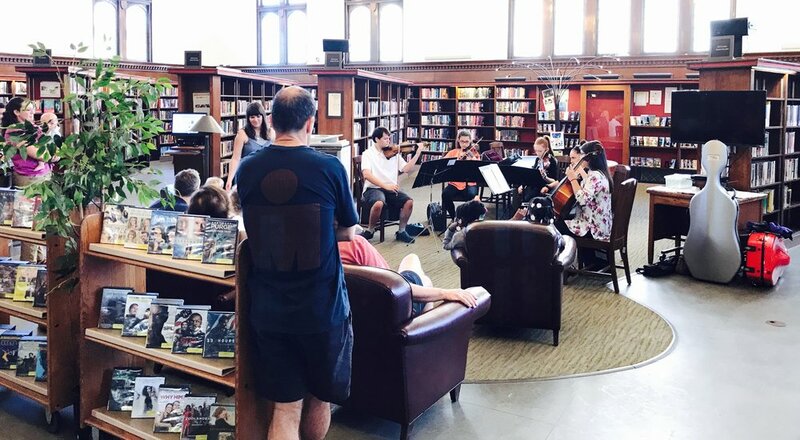 Seven YC² groups performed at six different neighborhood branches of Carnegie Library of Pittsburgh - Brookline, West End, Allegheny, South Side, Lawrenceville, and East Liberty. Check out our photo album from this special day on our YC² Facebook Page. Two dozen YC² members gave up their school vacation day to gather early for rehearsal with Conductor Edward Leonard, then walk to a nearby pre-school to perform music inspired by Martin Luther King Jr.
A quintet of PYSO members and alum - Michael, Jimmy, Kerry, Zach, and Devin - performed for the downtown homeless community at their Tuesday night gathering, held every Tuesday night at First Presbyterian Church, organized by Outreached Arms ministry. 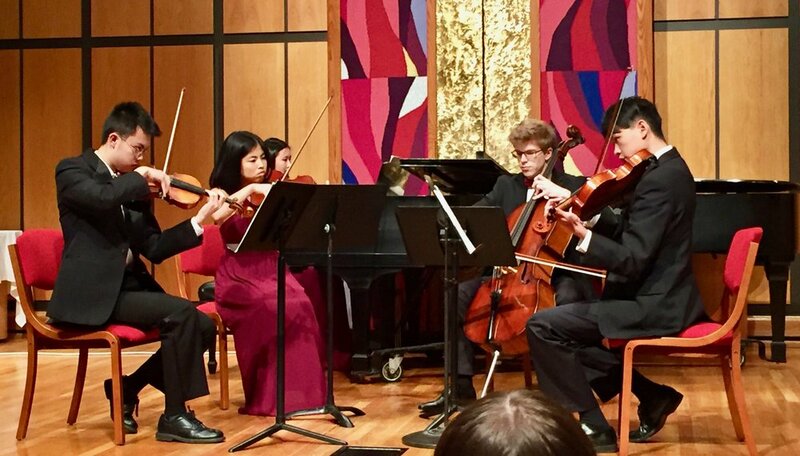 Featuring: TRYPO's September Quintet - Nathanael, Elizabeth, Jacob, Ruth, and Sofia - played classical and holiday favorites in this free event, open to the public. Community Connection December: Youth Chamber Connection students performed at UMPC Mercy Hospital on Dec. 9, 2017, to bring holiday cheer to the patients and staff. This performance is part of our Community Connection series. 9:00am on "Pittsburgh Today Live"
Featuring: The Monongahela Quartet - Liam, Sarah, Hannah, and Maighread - members of TRYPO and PYSO performed "Carol of the Bells" and "Oh, Chanukah." 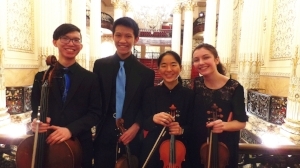 Featuring: TRYPO's Fidelis Trio - Tommy, Maeve, and Nick; TRYPO's Chordis Quartet - Chad, Mei, Felix, and Emma; and PYSO's Artemis Quartet - Chloe, Anna, Nora, and Ji-Yool. Each group performed classical repertoire, then all three groups joined to perform holiday favorites in this stunning setting. Featuring: PYSO's award-winning Amadeus Quintet - Chris, Minori, Yosen, Ariana, and William - seen here with PYSO Executive Director, and private chef for this fun evening, Craig Johnson. Featuring: the Cygnus Quartet - Cuna, Sein, Thomas, and Mirra - members of PYSO and TRYPO. 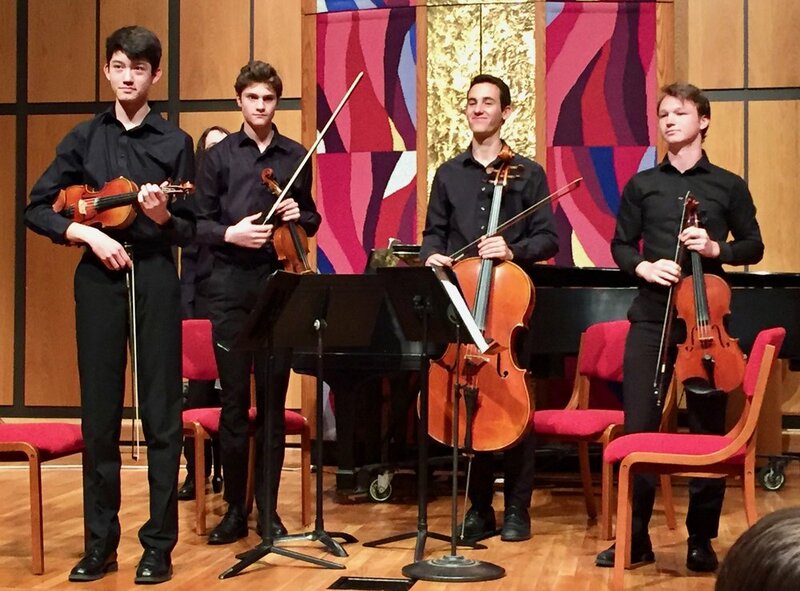 WAY TO GO Amadeus Quintet - winners of the prestigious 2017-18 Montgomery Fellowship. 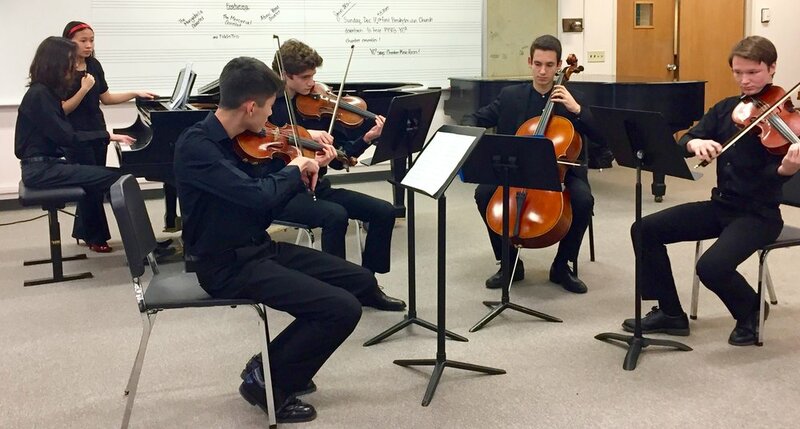 The Montgomery competition is open each year to chamber groups of the Pittsburgh Youth Symphony Orchestra, and the winning group's chamber music education is funded by a grant from Chamber Music Pittsburgh in honor of their longtime director Ruth Montgomery, who recently celebrated her 100th birthday! Kudos and Honorable Mention goes to the Artemis Quartet and Leo Quartet. All three YC2 groups impressed the judges with their preparation and quality of performance. Photos Left to Right: Amadeus Quintet: Chris, William, Minori, Ariana, Yosen; Artemis Quartet: Nora, Chloe, Anna, Ji-Yool; Leo Quartet: Will, Carolyn, Daphne, Futen. Featuring: PYSO, TRYPO, and YC2 wind players Maya, Ellie, Josh, Kayla, Ami, Grant, Matt, and Kirsten. The students played spooky favorites for this Halloween-themed event. 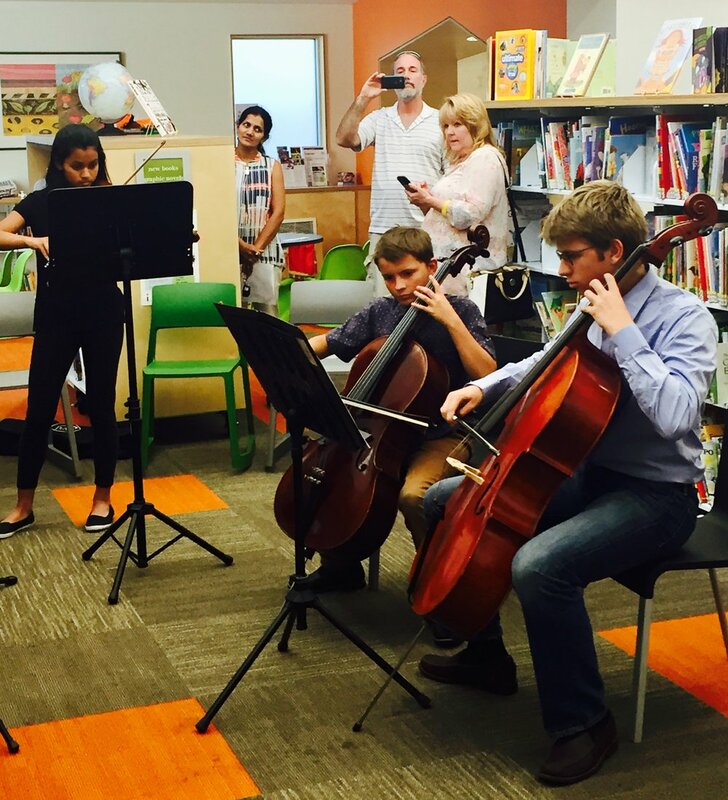 Featuring: Fifty YC2 students rehearsed together for three weeks, then divided up and performed simultaneously in eight different Carnegie Library neighborhood branches: Allegheny, Homewood, West End, Knoxville, Lawrenceville, South Side, East Library, and Brookline. BRAVO and THANK YOU TO ALL who participated! Featuring: A dozen YC2 members performed in two spots along the race route, a group of string players played underneath the 30th Street Bridge, and a group of wind players performed at the water station - all members of either TRYPO or PYSO. Thanks to all who participated!